I freaking loved Ryan Graudin’s The Walled City. It was a novel that I ate up in almost one sitting. It was exciting, it was romantic, it was thrilling—it was exactly my cup of tea. So when I found out that they’d written another novel, Wolf by Wolf, that was described as ‘Code Name Verity meetsInglorious Basterds’ I knew that I was about to delve into something great. 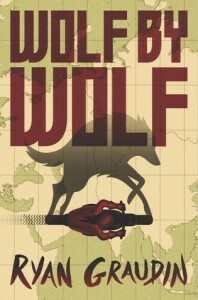 Novels set during the Second World War are ones that I find riveting considering the history surrounding timeline, and with Wolf by Wolf being set in another universe where the Nazis won the war—you could consider my curiosity piqued. Yael witnessed the atrocities of the death camps firsthand. A survivor who has experienced her fair share of losses, Yael is disgusted by the Axis Power of the Third Reich who have successfully taken over the world. Each year a motorcycle race is held in the form of the Axis Tour where young German and Japanese teenagers are given the opportunity to represent their respective countries for the world to see. For Yael, winning means obtaining the means to see the reclusive Adolf Hitler in person. Having been turned into a shapeshifter through experiments done on her in one of the camps during her childhood, Yael takes on the appearance and life of Adele Wolfe, the only female victor of the Axis Tour—and the only person within striking distance of Hitler. Yael’s job is simple. Win the race. Kill Hitler. Free the world. But Adele’s twin brother, Felix, poses another problem. And one of her competitors, Luka, has made it very clear that no amount of studying could prepare her for the truths of just who Adele Wolfe really was and how that alone might compromise her mission. Straight up, I freaking loved this book. The way that Graudin writes is amazingly vivid and accurately depicts the setting. There were no instances where I couldn’t clearly imagine what was happening in the novel as I read. Everything from the German cities, to the deserts, to Imperial Japan—all of it was described with beautiful clarity. The fact that Graudin’s writing can also grip a reader from the very beginning and never let them go certainly helps too. The storyline for Wolf by Wolf is fantastic. The narrative slips between Yael’s experiences during the Axis Tour as Adele Wolf to the experiences that lead her to become the woman she is in the present day. Yael’s character is unique andreal. She’s flawed. She’s caught between duty and morality constantly. You can’t help but sympathize with her character as she begins to slowly unravel the mystery behind the aspects of Adele Wolf’s life that she was unaware of, and has to learn how to properly portray that version of Adele for the greater good. Yael’s character is definitely one of my top favorites. The relationships and characters in Wolf by Wolf are all incredible in their own ways. I think this is one of those novels where everybody will be able to find a character who they feel they can relate to the most. I personally loved Yael and the character Luka. Luka is your typical arrogant, attractive jerk, but there’s more to his character as you progress through the novel. If you’re a fan of characters like Jace from The Mortal Instruments or Adrian from Vampire Academy/Bloodlines then you’d definitely enjoy Luka just as much as I did. I would recommend Wolf by Wolf to readers who are looking for a novel that’s freaking awesome. 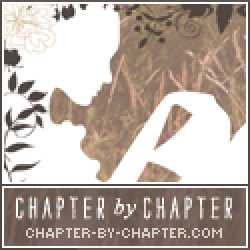 Readers who are fans of action, thrillers, and novels that deal with competition (a la Hunger Games, The Scorpio Races, etc.) should give it a read. Any readers who are also looking for a novel that takes place in the past but offers a new take and twist on history should also give Wolf by Wolf a read.